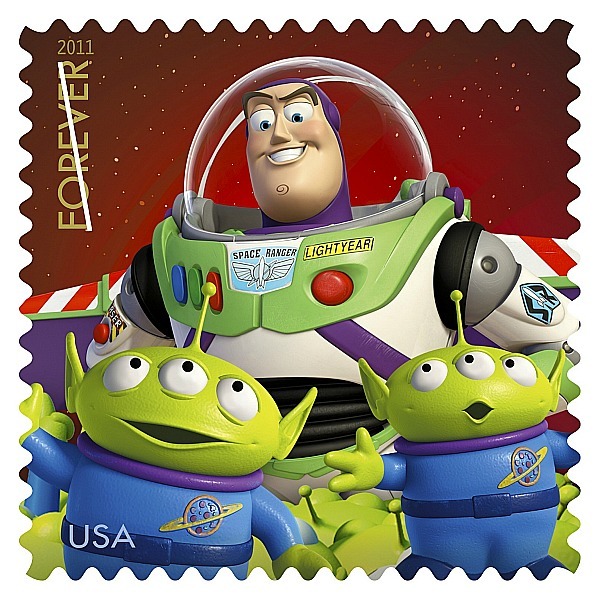 Today the US Postal Service unveiled a new “Send a Hello Forever” series of stamps featuring characters from Disney / Pixar Animation Studios including: Buzz Lightyear from “Toy Story”; Lightning McQueen from “Cars”; Remy the rat from “Ratatouille”; “Wall-E”; and Carl and Dug from “Up.” The stamps are on sale today in post offices nationwide, and online at usps.com. “With this new stamp pane, the U.S. 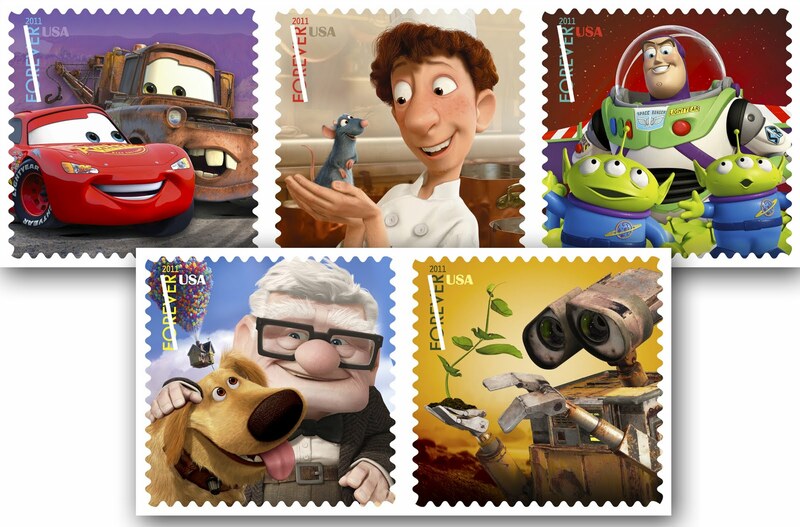 Postal Service is very proud to honor the art of Pixar’s talented team of animators, and at the same time, help our customers communicate the way they care, through the power of the U.S. Mail,” Deputy Postmaster General Ronald Stroman said in a statement. He was in Anaheim today at the D23 Expo to announce the debut.